Five haunting tales of love and betrayal weave the lattice for your reading pleasure. Mary Ann Bernal writes eloquently yet in a down-to-earth manner that bodes well to consuming these scribbles in one sitting. 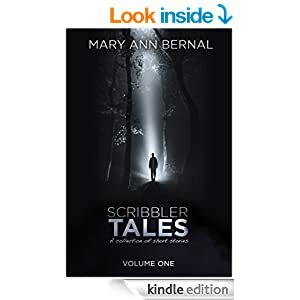 Bordering on the line of romance and horror, Scribbler Tales is a refreshing cross-genre read that will have you scrambling to acquire volume two. As of the writing of this week's edition of What I Am Reading, you have your choice on amazon of purchasing Scribbler Tales for 99 cents or reading for free through Kindle Unlimited. Either way, this book will keep you entertained for the couple of hours it takes to read the short stories. Thanks for bringing this one to our attention - going to give it a try!